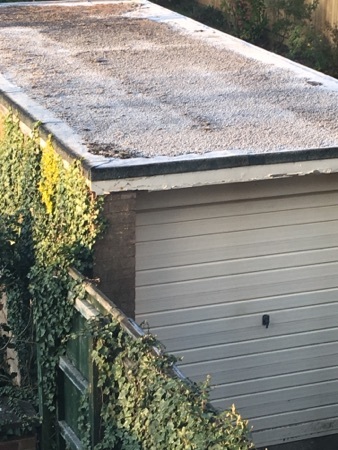 Only 1 photo today - taken from my bedroom window on waking - frost on top of next doors garage - A sight I very much hope not to see in Florida! Much excitement this morning as I packed the kids off to school (with pleadings from the kids not to go!). DH finished work yesterday, so with us all out of the way (I work in a school as well and had to work today), I duly left him a list of last minute jobs such as emptying the fridge & bread bin of perishables, washing the kitchen floor, washing the bedding & giving the place a general tidy as well as loading all the cases into the car. I love my job, but I have to confess to clock-watching today - not too often as being with 30 kids doesn't allow this much! Eventually 3.20pm rolled around, and me & the 2 youngest DDs walked home from school, got freshened up and changed. We had to wait for the eldest 2 at secondary school to get home (which they managed in record time!). After they got freshened up & changed, and a final passports, tickets, money check was made at 4.35pm, we started our journey to The Marriott at Gatwick where we had an overnight reservation. NOTE - in following days there was a slight fail on this check! We had decided to stop roughly an hour into our journey at McDonalds near the Black Cat Roundabout. Reasons for this were two-fold. Firstly, kids had all had hot dinner at school, and secondly, as we wanted to make it for twilight check-in, we didn't want to spend too long in a restaurant in case of bad traffic (and also it gets expensive in the UK with 6 of us) - and let's face it - we're about to go on a 2 week holiday with plenty of eating out. Anyhow, we arrive at McD's and start eating- and then notice a familiar face walking in the door - one of my colleagues and partner who were on their way down to The Premier Inn at Gatwick ready for their flight to Malaysia the next day! I knew she was going as we'd spoken at school, but she'd not mentioned McD's (neither had I), so that was a nice surprise- and we chatted about our various plans and wished each other a lovely holiday! The traffic Gods were on our side, and we reached Gatwick by 7.30pm, and headed to bag check-in. Fortunately it was an empty hall with 2 BA agents there. I say fortunately as the machines kept spitting out cases back to us &lsquo;unable to read the barcodes'. The staff were very good, and as DS mentioned the football score, they had a good old football-related chat. This took us just over an hour in short stay car park, so had to fork out £8. We had also decided that rather than all of us going to drop car at APH, a better idea would be for DH to drop me & kids direct to the Marriott (so kids could have a bath/shower and change for bed) while he dropped car himself to APH. He did this & was back to hotel by 10.30, having decided to walk back from South Terminal. The kids were all thirsty so we had a drink each in the bar before bathing etc. DH, kids & I All then synchronised alarms for 6am, preferring to be up & through security for breakfast at airport. Being a family of 6 we always have to have 2 hotel rooms, so youngest 2 were with DH and eldest 2 with me. It's a family room, 2 double beds and obviously being 16 & 12, DS & DD did not want to share a bed! So I have to put up with a very fidgety 12 year old DD in my bed. A mixture of excitement & nervousness about over-sleeping meant I hardly slept a wink all night. I actually woke at 1.31am Saturday morning thinking it must be nearly 6am! Easy trip for the first day! A good day, looking forward to your report as we are a family of 6 too. ooooo a very good start, I'm looking forward to catching up.